HTML5 Product Designer for WordPress and WooCommerce. Create and sell customizable products. 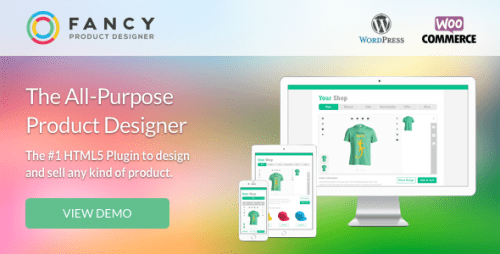 The All-Purpose Product Designer for WooCommerce & WordPress. Give your customers the freedom to design any type of product. No limitation, decide which products and which part of the product can be customized. Function, features and user interface are developed to fit any product. Helpful layer system to keep track of applied designs. Individual product views, interactive upload zones and bounding boxes for precise customization.